I am sorry to hear that one of my reader’s dad suffered from pneumonia (肺炎). 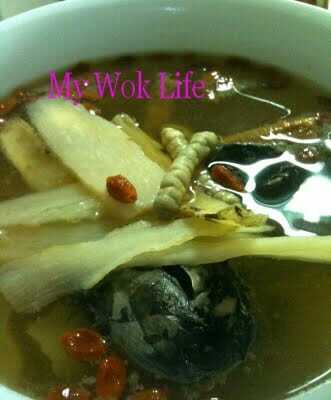 And, she asked me for a good soup to be taken by his dad who had discharged from hospital. 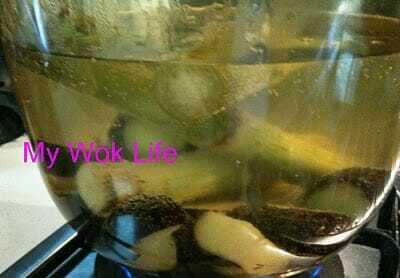 I knew I wouldn’t able to help much or certain that this Chinese tonic soup is helpful in such recovery, but I promised her to post a soup recipe that is good to be taken, if her dad wishes to take this soup on the usual days as it nourishes lungs and strengthens function of respiratory system. 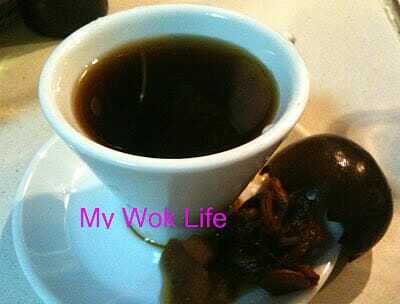 I had a bowl of Cordyceps tonic soup for lunch at one of the coffee shop at Ang Mo Kio area last week as I wanted to take something nourishing and tonical. Did not expect Cordyceps soup to taste so great, its mild fragrance in the palate with a hint of natural sweetness impressed me. So, I jotted down the Chinese herbs found in the soup (luckily, I still recognise each herb used.. :p), and decided to find out more about it, and to make it at home for my family. Some might find Chinese soup too bland for the palate. 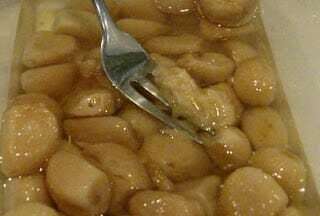 Its taste has been described as drinking “plain water”, as Chinese soup is always cooked watery (not in thick consistency), and it does not taste creamy. 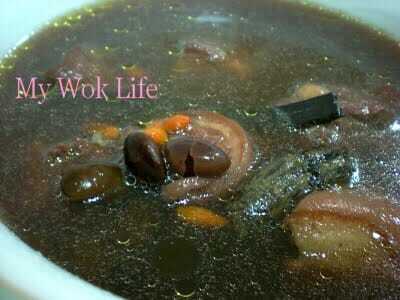 You may realise, Chinese soup is often taste subtle and light (smile). 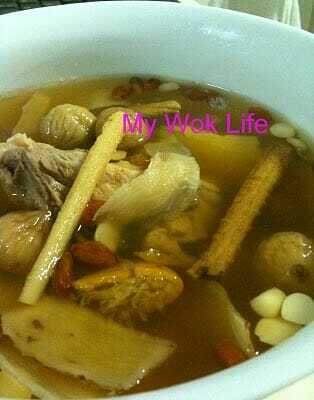 I love Chinese soup, so as my family! Silkie, or another name which is more commonly known as, black chicken. 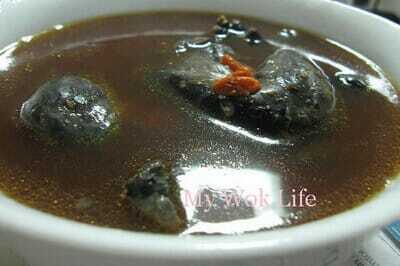 Black chicken is often used to cook in soup with Chinese herbs as it claims to be more nutritious (higer in dietary minerals) and less fat content. Silkie is whole black from its skin to even the bones. The meat is more greyish colour. Basically, beside the colour and invisible high values of nutrients, the taste and texture of meat has no much difference, to me. However, some say that the meat is not just leaner, but also softer.